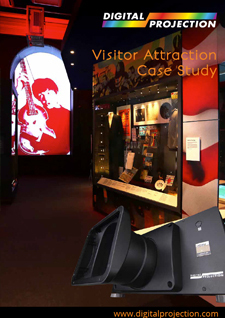 Digital Projection’s award-winning HIGHlite Laser II projector has been selected by integrator DJ Willrich to sit at the heart of a brand new visitor attraction, The British Music Experience in Liverpool, UK. 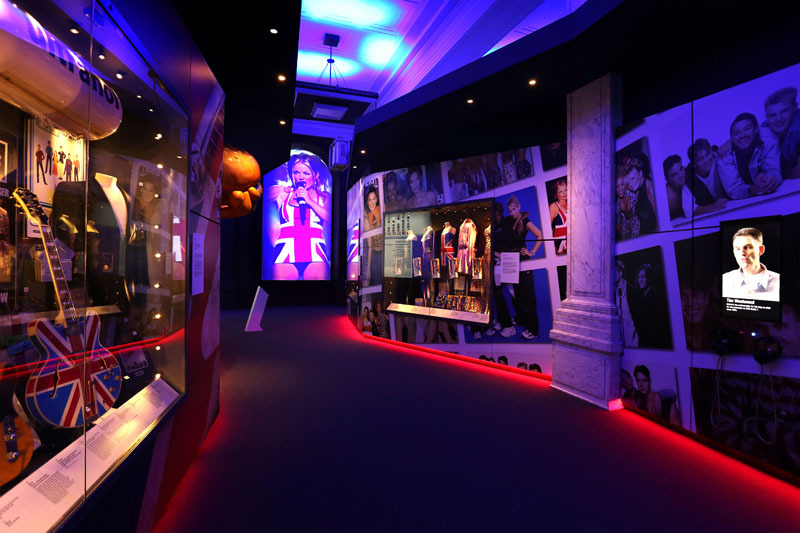 In a city synonymous with musical greats from The Beatles to Frankie Goes To Hollywood, the new interactive museum has transformed the Grade II listed Cunard Building and is dedicated to showcasing the rich heritage of British music through costumes, instruments, performance and memorabilia. Digital Projection technology is harnessed throughout to complement the artifacts and create a fully immersive experience. 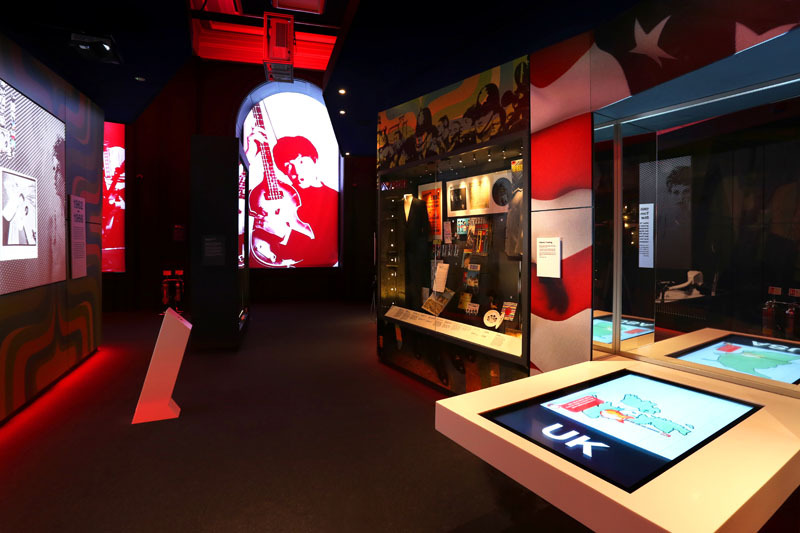 The critically acclaimed venue takes visitors on a chronological journey of British music history from 1945 to the present day, as told in eight state-of-the-art interactive exhibition galleries. 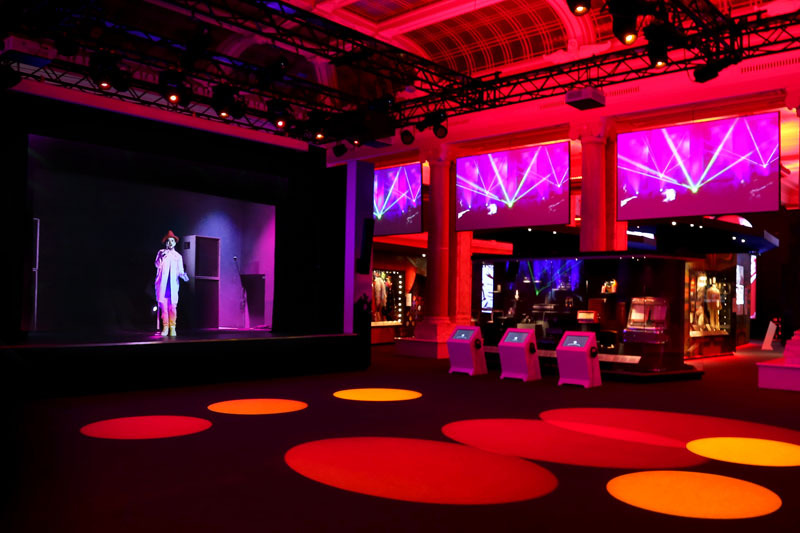 At the heart of the exhibit space is the main stage show featuring a five-minute custom-produced performance by Boy George, created by Graham English and Co, and a large scale stage hologram – and made possible by the HIGHlite Laser II, powered by a 7thSense Delta Nano-SDI media server. 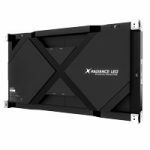 Widely praised for its stand-out features and performance by the AV community, the HIGHlite Laser II is specifically designed for environments needing a long-life projection solution with installation flexibility, inspiring brightness and remarkable lifetime cost of ownership. Delivering a stunning 13,000 lumens from a stable solid-state laser light source which eliminates the need for expensive maintenance and lamp replacement cycles, it is capable of producing over 20,000 hours of illumination that far exceeds any lamp-based product. 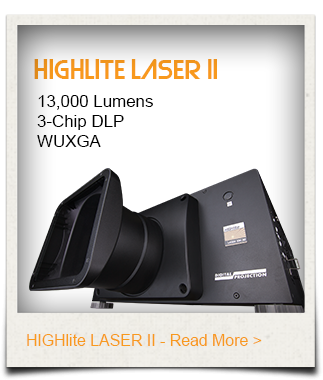 Operable in portrait and landscape mode, the HIGHlite Laser II features a diverse selection of both fixed and zoom lenses and extensive lens shift to ensure integrators have maximum flexibility with respect to projector placement. 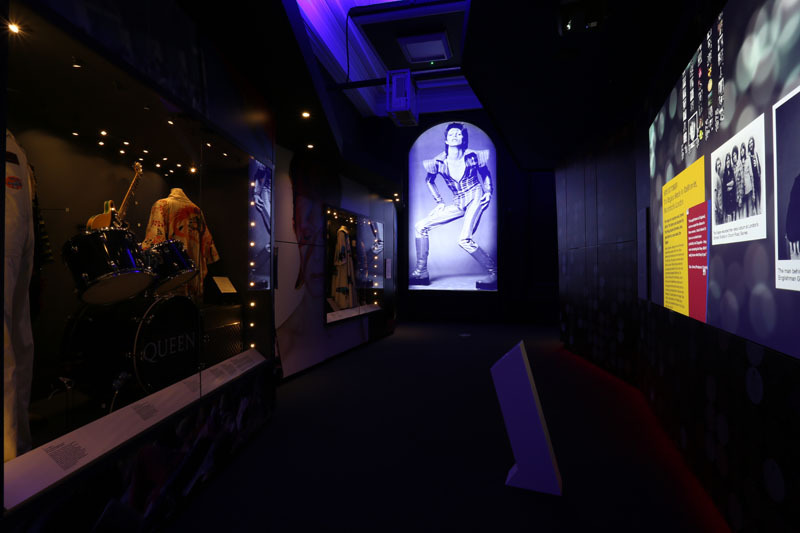 Developed with ‘Fit and Forget’ directive, installers can deploy the product quickly thanks to the easy to use software which dramatically reduces set up and configuration time, and with minimal maintenance throughout the lifetime of the display. “Alongside outstanding quality, we know that reliability and long-term performance are also key in professional settings.” adds Mark Wadsworth at Digital Projection. 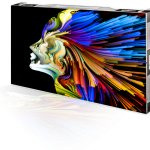 “We provide a full five year/20,000 hours warranty for our projectors, such is our confidence in our unrivalled product offering. 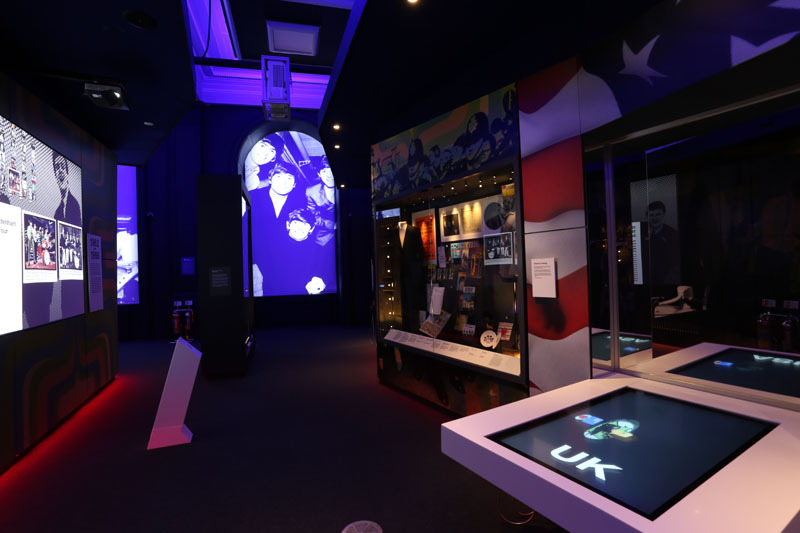 In addition to the HIGHlite Laser II, two 8,500 lumens Digital Projection E-Vision Laser 8500 laser projectors are deployed to create an impactful first impression in the reception area, combining to create a giant Union Jack. 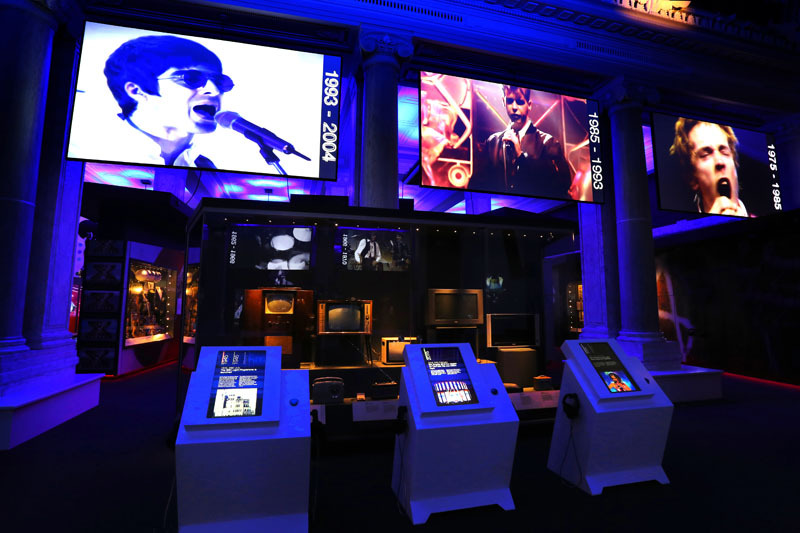 A further eight 6,000 lumens E-Vision Laser 6500 projectors drive rotating images of different UK pop stars using Dataton Watchpax 2 software in a series of arched window bays to separate the different exhibition zones.